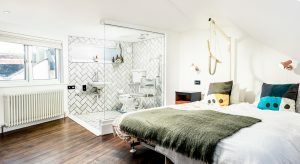 This”Highly Commended” accessible home project was for an artist who uses a wheelchair. 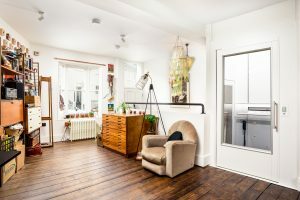 She wanted to live in central Brighton in a house over multiple floors and chose (after a few false starts) a victorian terrace in the heart of Brighton near The Level. Our role, along with our architectural partner on this project was to make the whole house accessible and also to increase the “flow” of the building with more open spaces. 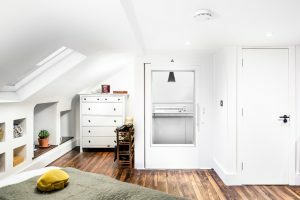 We removed the stairs, created a void across four floors to accommodate a new lift, we demolished walls and opened up the space on the lower ground floor to make a large kitchen diner which is the heart of the house. Two new bathrooms, rainwater harvesting, improved insulation in the roof, refurbished sash windows a completely new garden. A new Viessman Vitodens 200W boiler with built in hot water storage means that there is always sufficient hotwater for showers to be running at the same time. Refurbished and re-sprayed original cast iron radiators with TRVs means that house is always warm and toasty (just the way Kyla likes it!). The kitchen was made bespoke by Forge Creative to be accessible for Kyla (who has limited mobility) so that she can indulge her passion for cooking. 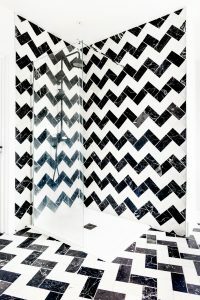 Both bathrooms feature marble tiling which gives an extremely striking image, and both bathrooms WCs are fed by a rainwater harvesting system to reduce water consumption. 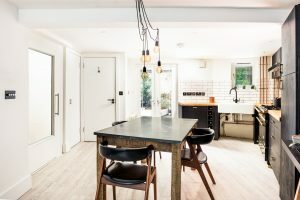 The whole house was rewired and uses LED lights throughout – there are also a number of feature lights either made by our client – www.kylaharris.net – or purchased especially. 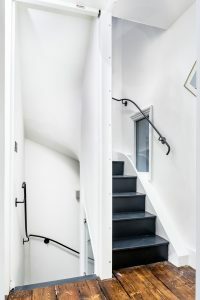 The decision was made to keep as much of the original flooring as possible (Reduce, ReUse, Recycle) and have them sanded down and srtianied and the effect is striking against the white recycled paint walls and the black stairs & railings. Throughout this process Alex and his team were incredibly organised, keeping me up to date with photos of the completed work every day. I was consulted on as much as I needed to be, they were flexible with my requirements and gave me useful suggestions to any concerns. 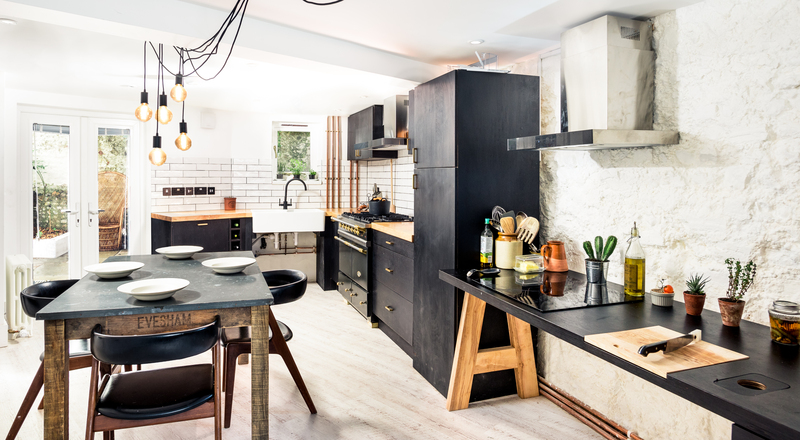 Not only were they a lovely bunch to work with, but they made the process of renovating and refurbishing a home a (relatively) stress-free process! I highly recommend them for any size of job and would not hesitate to work with them again… in fact, I count on it.